People often ask for a sign about whether they should do something or not. Whether they should start a new project or stop doing something. Some type of guidance about what to do in general. They hope that the universe will help them make the right decision. Sometimes someone will say something or you will see something that will lead you along the right track. Sometimes you just miss it, expecting something bigger or more obvious. So if you have been waiting for a sign to guide you… well now you have one. 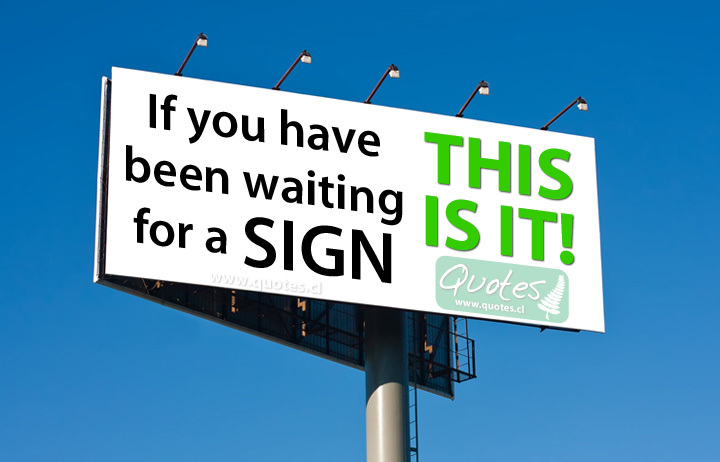 If you have been waiting for a sign, this is it!